With Jack-o-lanterns carved and Thanksgiving just around the corner, it seems appropriate to mention that the humble winter squash taking center stage this time of year is also a nutrition power house. 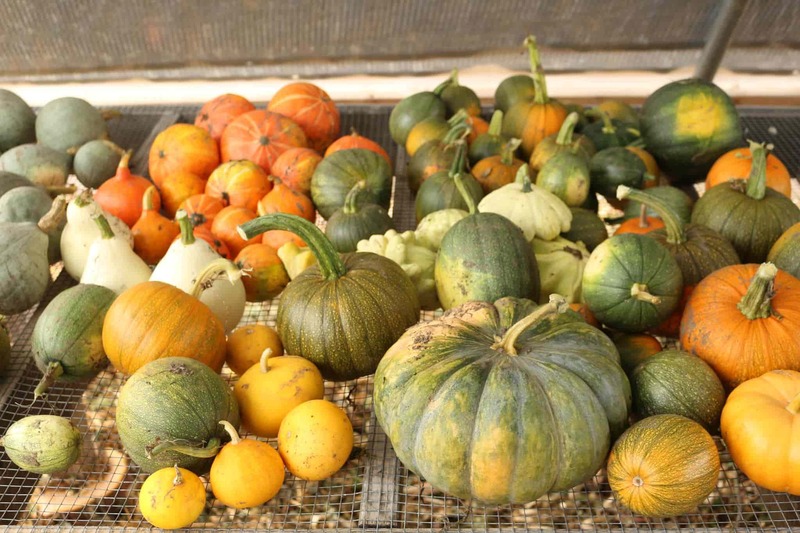 According to one of my talented traditional Chinese Medicine nutrition colleagues, April Crowell, winter squashes are excellent sources of vitamins including, vitamin C, a variety of B vitamins, and potassium. The warm yellow-orange color of the edible flesh comes from both alpha and beta carotenes. The darker the flesh, the higher concentration of these cancer- and type 2 diabetes-fighting vitamins. Winter Squash are also loaded with dietary fiber, which helps to sooth irritable digestion. From a Chinese Medicine perspective, winter squash warms our core and drains excess damp – meaning they help regulate blood sugar, remove excess damp conditions like symptoms of the common cold, and create a strong lasting energy and digestive system. In a large saucepan over medium heat combine olive oil, shallot, garlic and a good pinch of salt. Cook for 2 to 3 minutes, or until slightly browned and translucent. Turn down heat if cooking too quickly. Add squash, broth, spices, another pinch of salt and a grinding of pepper. Bring to a simmer and continue cooking over medium-low heat for 5 to 10 minutes. Blend soup with an immersion blender and taste for seasoning. For a very smooth & silky soup, push through a sieve before serving. Note: To toast pumpkin seeds, scatter 1 cup pumpkin seeds in a single layer on a sheet pan and drizzle with 2 tablespoons olive oil. Sprinkle with salt and pepper and toss to coat. Bake for about 7 minutes, at 375º F, or until light brown and crispy.